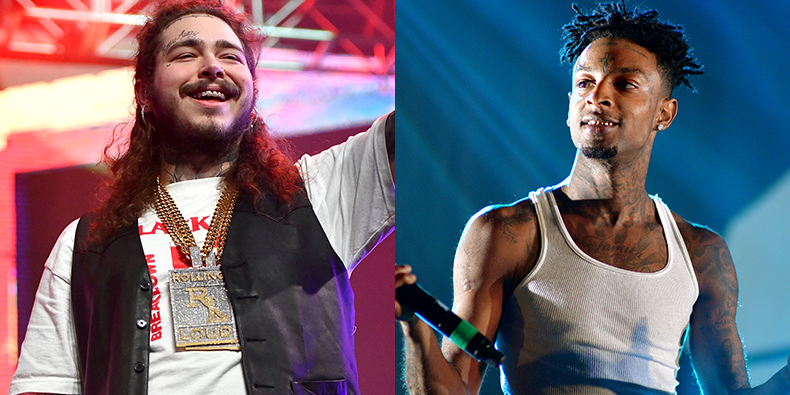 Post Malone is headed back on the road, and this time, he’s bringing 21 Savage and the ascendant Cali clique, SOB x RBE with him. Today (Feb. 20), the versatile Texas crooner announces his North American tour, a 28-city trek that will find he and his new tour mates hitting everywhere from Portland, Ore. to Chicago to Atlanta. Needless to say, it should be quite the event. If you haven’t been keeping score, you might have lost track of Post Malone and 21’s run of dominance over the last year and some change. Post dropped off his debut album, Stoney at the tail end of 2016, and he rode that wave to a platinum plaque. For his part, 21 Savage parlayed a successful breakout 2016 into the release of his acclaimed debut LP, Issa Album. Last fall, the two burgeoning commercial powerhouses pulled up with their first collaboration, “Rockstar,” a track that took off immediately and quickly gained platinum status. Now, fans will likely get to see them perform it live over the course of the tour. Dope. On the other hand, there’s SOB x RBE, a West Coast clique comprised of Slimmy B, DaBoii, Lul G, and Yhung T.O. Each member has made noise throughout the last 12 months, and being added to Post’s new tour should give them more exposure than ever before. Tickets are all set to go on sale this Friday (Feb. 23) at 10 a.m. local time at LiveNation.com. 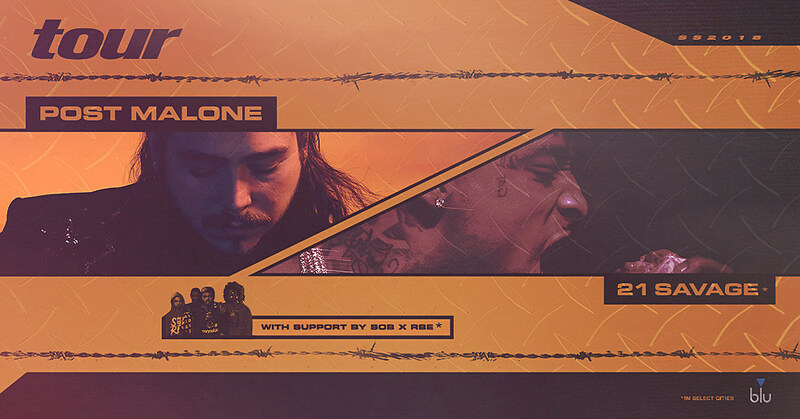 In a bit of amazing news for Post fans, every pair of tickets you buy online will come along with a physical copy of Post’s forthcoming sophomore album, Beerbongs & Bentleys. Fans who’ve copped a pair of tickets will receive an additional email with instructions on how they can redeem the new album a short time later. Continuing the wave of good news, Post has also announced the forthcoming release of his new Ty Dolla $ign-assisted single, “Psycho,” this Friday.